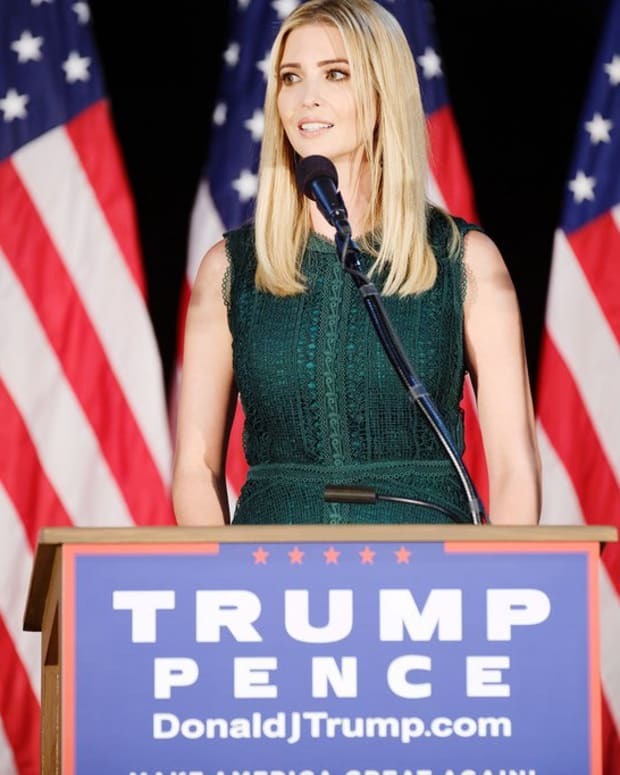 Experts in the fields of psychology, philosophy, history and etiquette are debating on whether it is ok for first daughter Ivanka Trump to wear her own clothing brand at political functions. 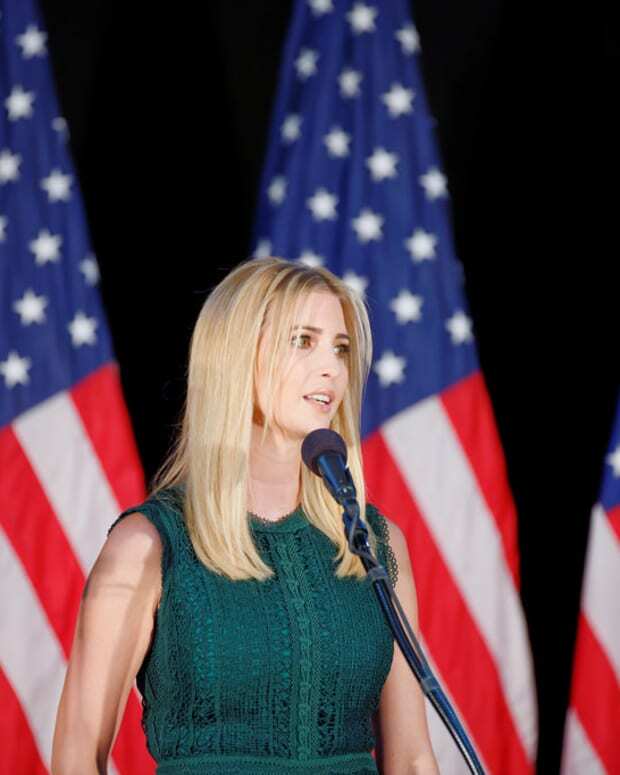 Ivanka may have removed herself from heading the operations of her namesake brand last year, but she has not stopped wearing it, Footwear News reported. 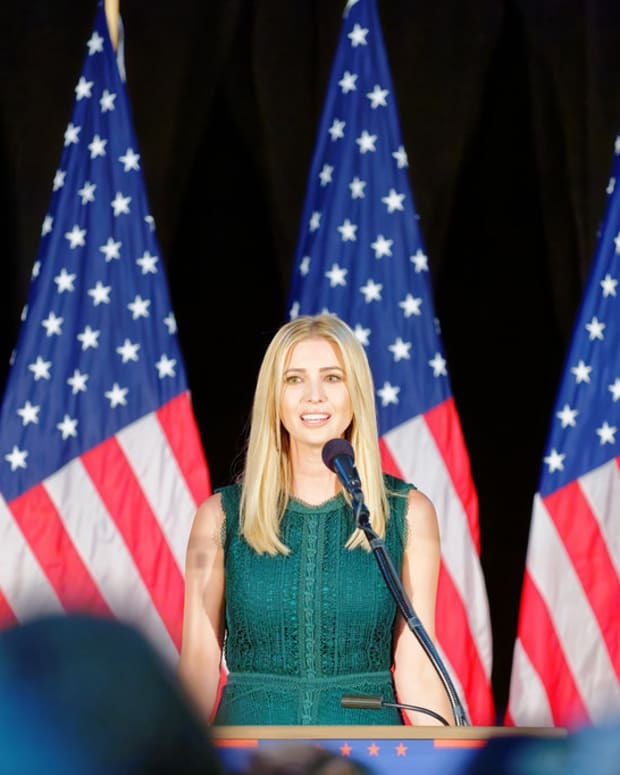 On June 13, she was seen carrying her namesake leather Greenwich Dove handbag while meeting at a workforce development roundtable with her father, President Donald Trump. 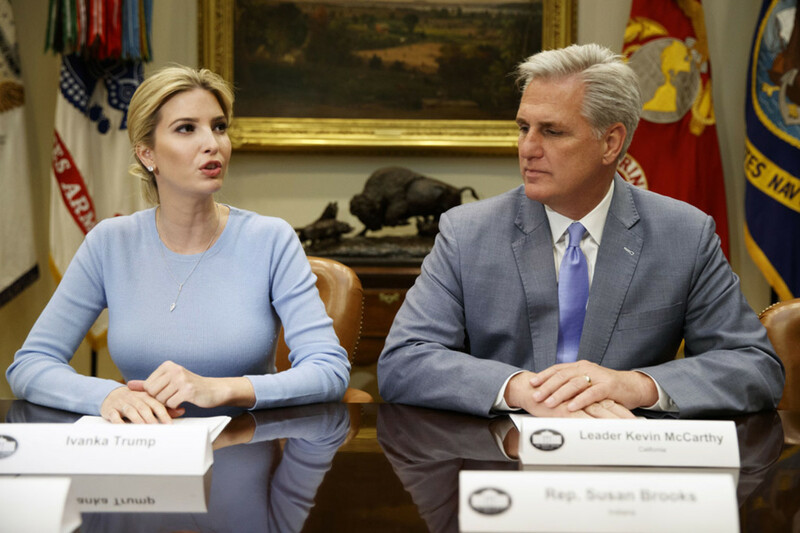 In May, she was seen donning her Ivanka Trump Fine Jewelry collection’s Montmartre diamond drop “Y” necklace at a high-profile meeting about human trafficking at the White House. 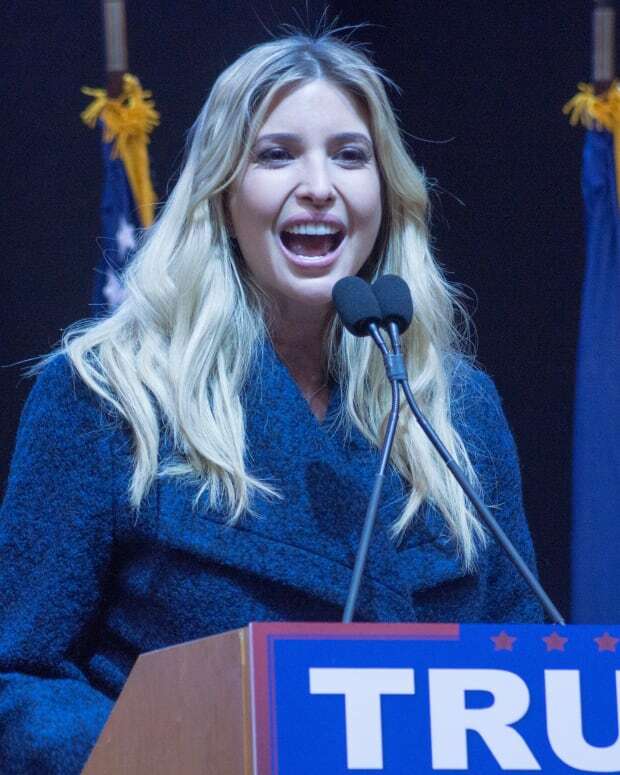 Ivanka confirmed on CBS in April that she placed the company into a trust, which is now run by husband and White House adviser Jared Kushner’s family. She also confirmed that she accepted her White House job offer. Experts provided some insight as to what Ivanka wearing her own brand could mean and what it says about her. I look at ethics as behavior and decision-making. It’s more than just the action of wearing her own materials and items, it’s also her expectations and signals for others around her. On one hand, she has individual choice and she can wear her own brand from one place to another -- that’s her [decision] to make. On the other hand, how obvious and clear is it that she’s wearing her own things? 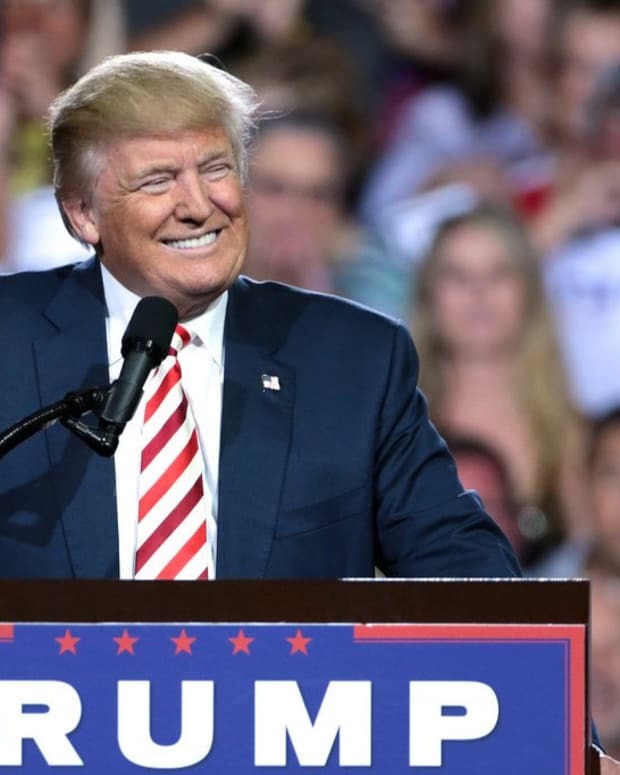 You have to think, what are the norms associated with the role or the values and ideals? Ultimately she has to wear shoes -- whether it’s hers or another designer; it’s not just one choice, but there are several -- and it’s about how others adapt in response to her decision. My advice would be, if you can choose behaviors that don’t put your behaviors under question, why not choose that? If it causes other people to second-guess your intentions, if your intention is to have a public role, why not make as many choices as you could to demonstrate that kind of commitment? A deontological perspective would ask: What is Ivanka’s moral duty? As a special advisor to the president, Ivanka has a moral duty to separate her private interests from her public role. Wearing her own clothing line blurs these interests. The problem is not just that she wears her own clothing line, though, but rather it’s that she wears them as an advertisement. Would it be OK if everyone in a public position used it to boost their private interests? The answer ought to be no. From an existential perspective, we might say that Ivanka is free to do as she chooses and wear whatever she wants, but she has to be ready to accept the consequences of her actions. Jackie Kennedy [wife of President John F. Kennedy] was into clothes, Mamie Eisenhower [wife of President Dwight D. Eisenhower] had Dior … but it is different than marketing your own brand. I think it is problematic. [Ivanka] is not a first lady, but she’s an advisor -- and there’s an expectation of decorum and restraint. Lou Hoover [wife of President Herbert Hoover] may have worn her own clothes, but when Ivanka is wearing her own line, she is more visible. There’s a commercial incentive to be more visible, and it skews her role. I saw her on a show recently, and I don’t think she tries to hide it. In the context of first ladies, they have always been careful about appearances. For the first time it’s hard to separate [President Trump’s] commercial life than that of being a president. She shouldn’t be singled out because her father is doing the same -- his resort is on TV. The first daughter recently took to Twitter to post a picture of an event honoring the victims of the congressional baseball game. "Great to see so many come together to honor victims & heroes of yesterday&apos;s tragedy, support charity & play ball," Ivanka tweeted.